Big room with nice views to the city. Looking for a job. I am a Post Graduate Mechanical Engineer starting PhD in UMinho from September-2018. I am looking for a job. I'm the student of Erasmus+ Traineeship programme. 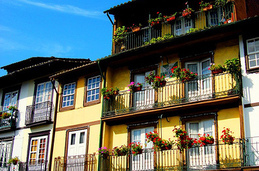 I'm looking for an accomodation in Guimarães or Braga.